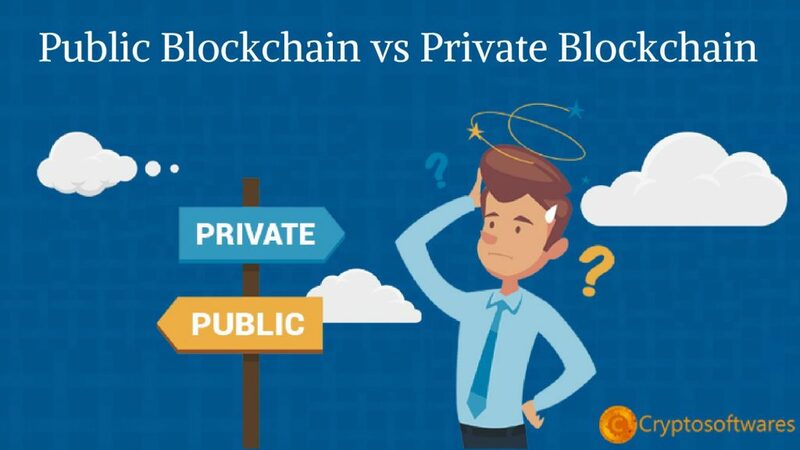 Public blockchain vs Private blockchain - How do they differ? Blockchain technology is a relatively nascent technology that has caught on like wildfire. All most all businesses are adopting the technology in one form or the other. Blockchain application development is done on both public and private blockchain platforms depending on the utility and desired characteristics of the end product. 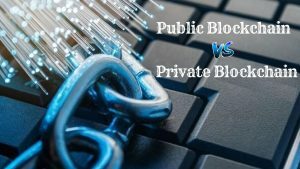 This blog post will give you an insight and a comparison on the Public Blockchain vs Private Blockchain. Blockchains comprises a growing list of records called blocks and cryptocurrency links these blocks to one another. It is an open, verifiable ledger that can record transactions between two parties effectively post verification and validation. Initially, blockchains were developed as the ledger for recording bitcoin transactions in order to solve the problems related to double spending of digital currency. Today, the blockchain technology has expanded to all sectors of business like smart contracts, notary, international money transfer, logistics, Initial coin offering and much more. What are private and public blockchains? In a public blockchain, anyone can join the network. The network is open and allows anyone to participate in the network, execute the consensus protocol and maintain the ledger. This openness of the network implies that there is no privacy in transactions. The private blockchain restricts the entry of members into the network. One must receive an invitation to be a part of the network and the network starter validates the entry of a new member by setting up a set of rules. Businesses would set up a permissioned network and restricts who can participate in the network and in which transactions. Participants would receive an invitation or permission to join. They would add further participants to the network or there would be a regulatory authority who could issue licenses for participation. At times, there would be a consortium which makes the decisions instead. How different are public blockchains and private blockchains from each other? Well, it is safe to say the differences are not so stark anymore. Nowadays, there are visible pros and cons between public and private blockchains but with time, these lines will definitely blur. Before we begin to compare the private and public blockchains, let us discuss why there is a need for them. Well, the blockchain technology rose to the limelight due to its transparency in the validation of transactions. But the boon turned into bane soon, when people started worrying about the privacy of the data stored in such public blockchains and private blockchains were born. Let us begin with the similarities that exist between private blockchains and public blockchains. Public and private blockchains are decentralized peer to peer networks and the mutual consensus determines the validation of the transactions. The ledger is immutable and it is almost impossible to hack the data. The major point of difference arises when it comes who is allowed to participate in the network and validate the transactions. In case of a public blockchain, anyone can join the network since it is open. These networks ensure greater participation in the network through incentivizing mechanism. An example of one such network is the Bitcoin network which is one of the largest public blockchain networks in use today. A major drawback of the public blockchain is that they require a substantial amount of computational power for the maintenance of a network that is this large. Another major disadvantage is the openness of the network which supports a very weak notion of security and leaves no room for privacy in transactions. Private blockchains solve this problem effectively by setting up permissioned networks which have restricted entries. Public Blockchains has a lot of privacy concerns and private blockchains eliminate them to a convincing extent. Conclusion: Which one to vouch for? Well, we definitely can’t pitch one with the other. The best option is to strike a balance between the two. Interoperability is the key to overcome the hurdles faced by public and private blockchains by enabling them to interact with each other and exchange values across platforms.